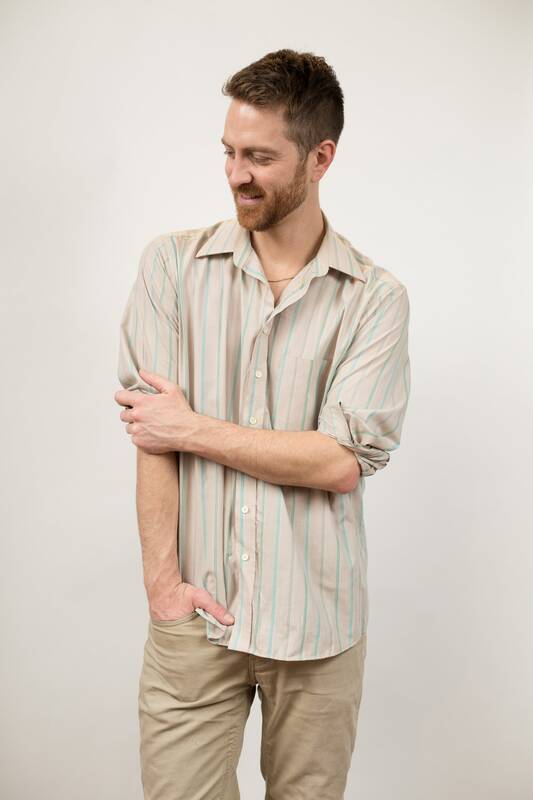 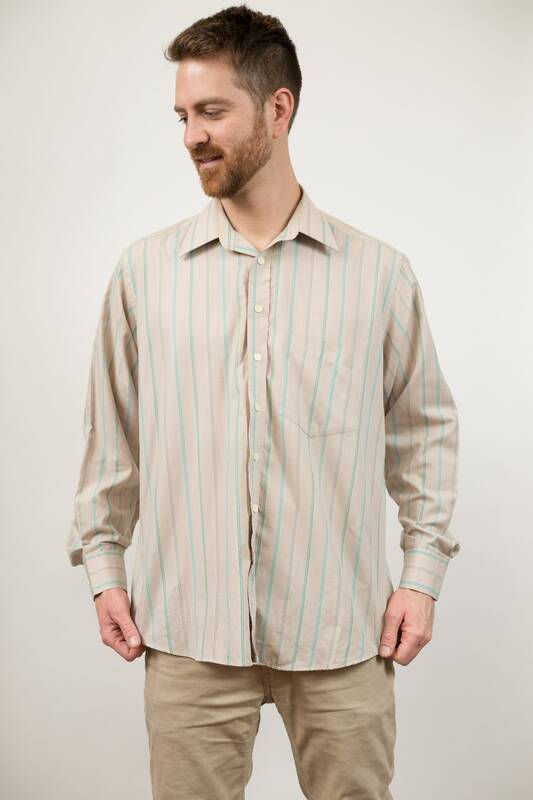 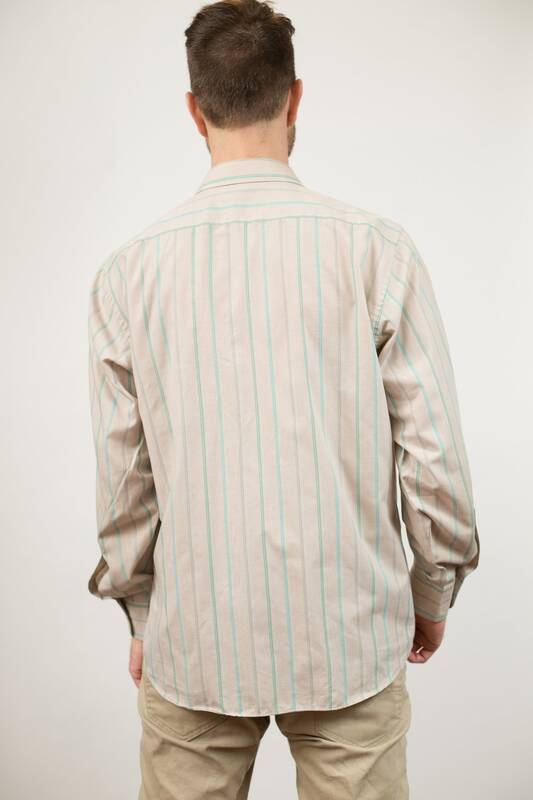 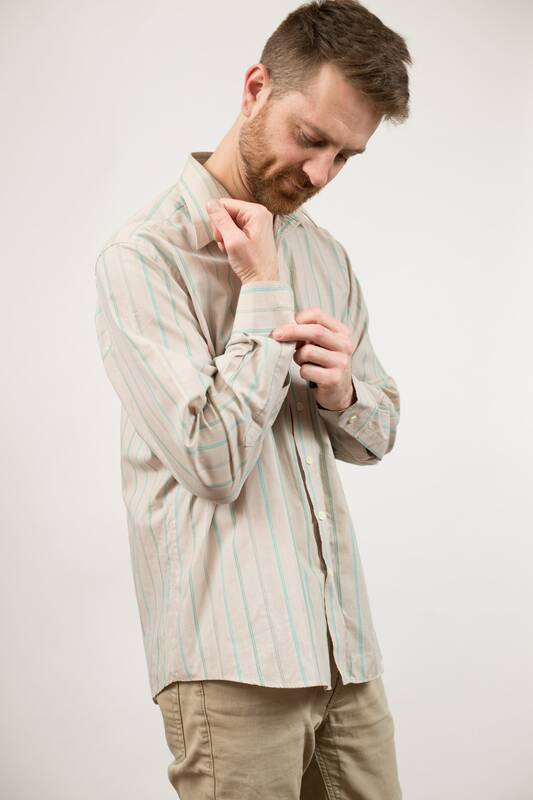 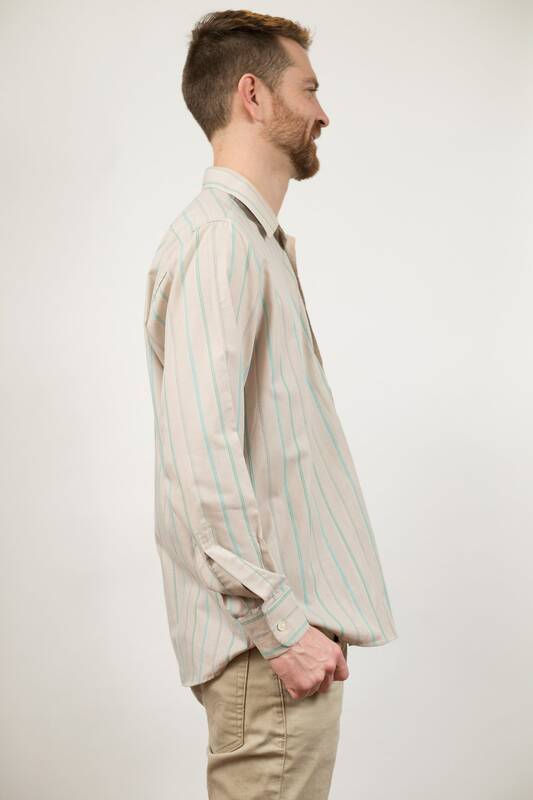 This is a classic vintage beige and green pinstripe oxford button down shirt. 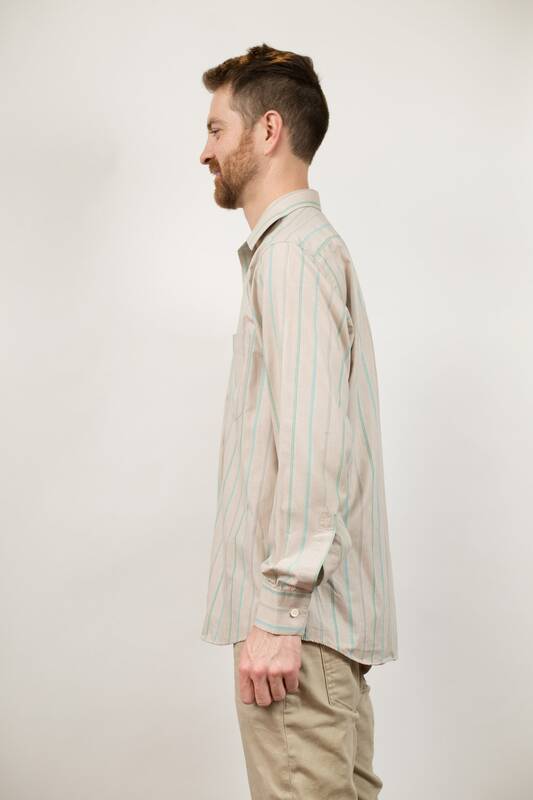 Fits Like: Large (Model wears medium and is 5”11). 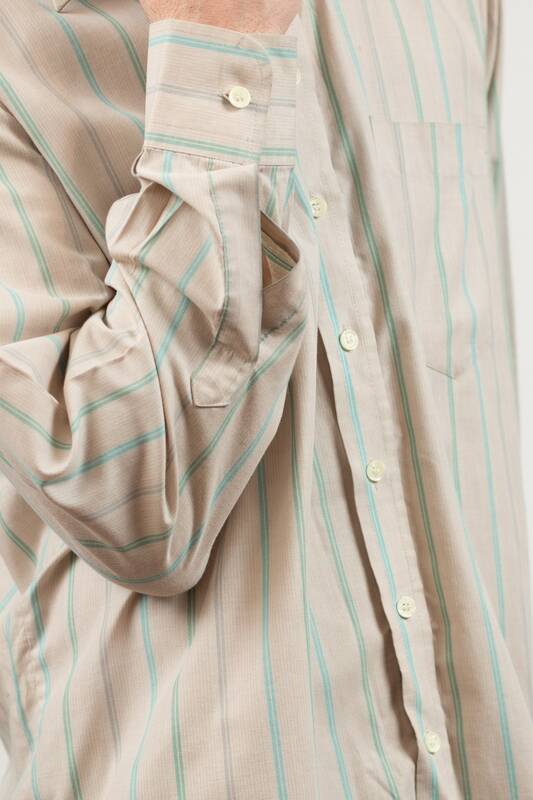 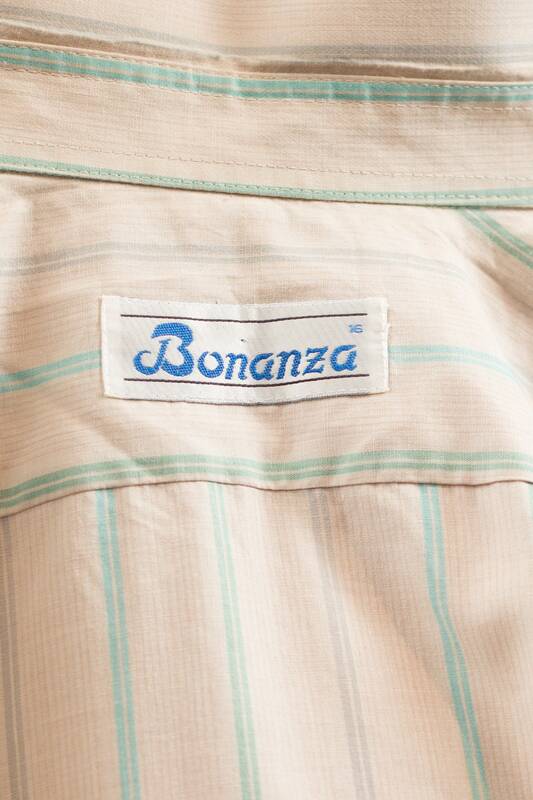 Sleeve length (top shoulder seam to cuff): 25"